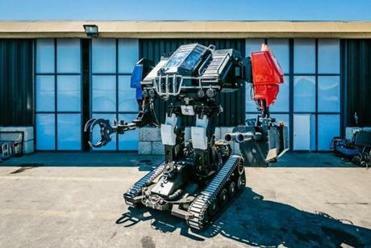 “America’s Giant Fighting Robot” has arrived — and it launches projectiles from its cannon arm with so much force that barrels buckle in half upon impact, like a person keeling over to puke. MegaBots Inc., a California company that got its start in Somerville, at the modestly sized Artisan’s Asylum, unveiled its giant, human-controlled robot this week, in a video that shows off the 12-ton mech’s many fighting abilities. The reveal precedes a planned September battle against a similar machine made by engineers in Japan, an event the founders of MegaBots say will be the first of its kind, and one they hope will ignite international interest in the sport of robot-fighting. 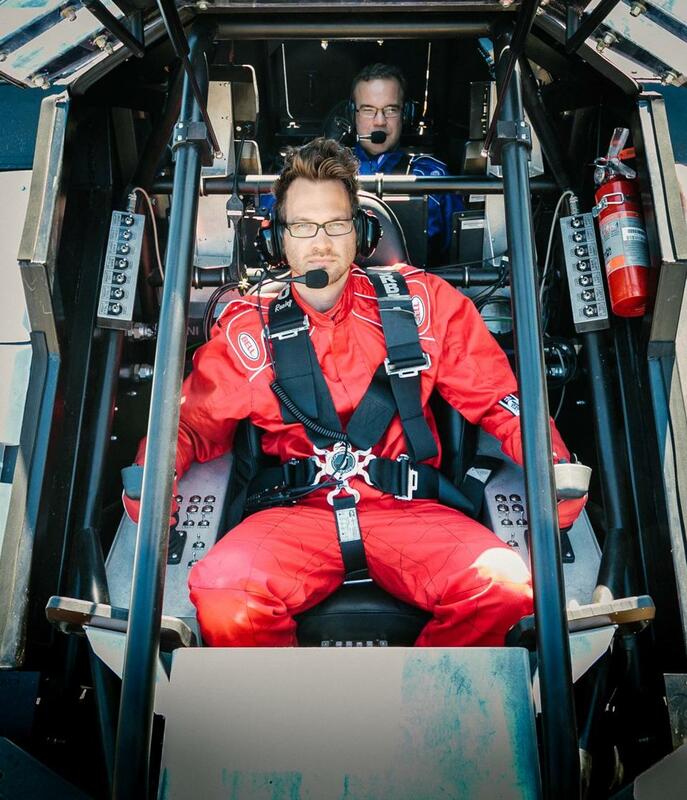 The robot, dubbed Eagle Prime, stands 16 feet tall and seats two copilots who operate the machine from the cockpit. It’s powered by a 430-horsepower V8 LS3 engine, according to the creators, and cost a whopping $2.5 million to assemble. In a trailer published Wednesday, the Eagle Prime maneuvers through a junkyard as it’s given tasks to complete on a makeshift battlefield. As it rolls through the obstacle course on metal-crushing treads, the robot approaches a set of barrels stacked on top of each other. The camera then cuts to the operators inside of the machine, who push the throttle into full gear and send the Eagle Prime crashing through the wall. With the whir of gears and motors, the robot then moves forward toward its next challenge: firing large paint balls into barrels bearing targets. One by one, at the push of a button, the objects are blown away by the projectiles, bending and folding before flying to the ground. For its final objective, the Eagle Prime engages in battle with an earlier mech model built by the company. After the enemy fires a large paint ball that explodes on its opponent’s shoulder, the Eagle Prime responds by using its claw to tear off the metal grate covering the cockpit. 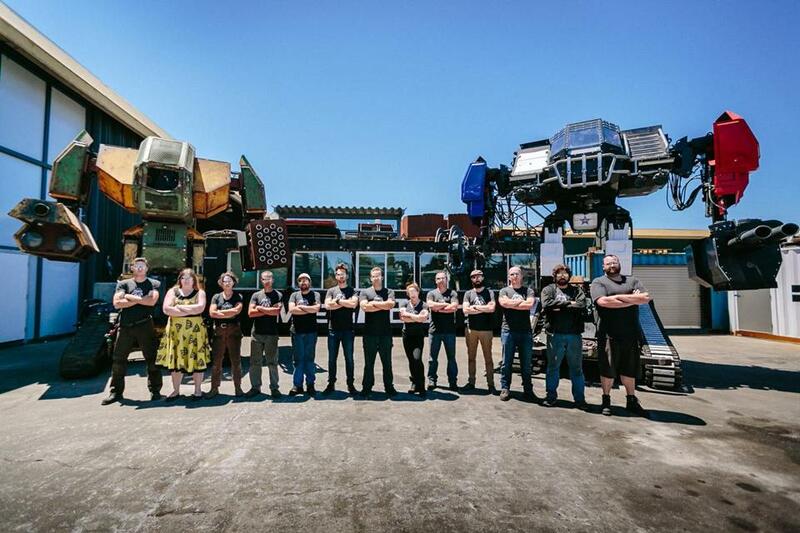 MegaBots was cofounded by Matt Oehrlein and Gui Cavalcanti in 2014, in a communal workshop in Somerville that hosts artists, engineers, and entrepreneurs, according to a Globe profile. As MegaBots — and interest in the company and the size of the robots — grew, the pair brought their radical idea to the West Coast. While there, they released an over-the-top video challenging a Japanese business that manufactures a roughly 8,000-pound robot, called Kuratas, to a duel. That company, Suidobashi Heavy Industries, accepted the request and posted its own hype-drenched response. “It should be a pretty epic event,” Oehrlein told the Globe when the “Giant Robot Duel” was announced. 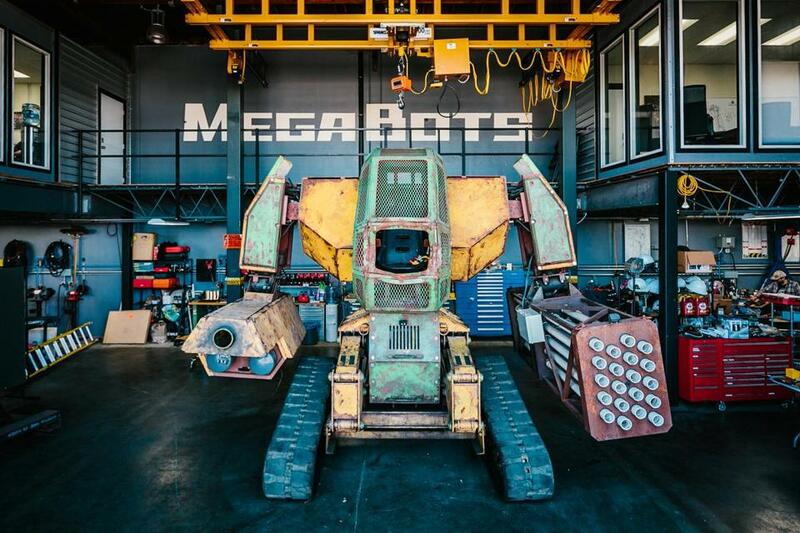 While they’re ready to take on their opponent and secure a win for the United States, MegaBots said the duel has been delayed due to logistical issues at the original battleground — namely, they were worried the venue’s floor couldn’t support the weight of two giant robots. But the companies have agreed on a new undisclosed location, and the battle is set for September, according to a joint press release. Unfortunately for those who were hoping to crowd a stadium as the two machines ripped each other apart, wire by wire, the duel will be filmed in a private location and then released on MegaBots’ YouTube and Facebook pages. The interior of the Megabot. Megabot operators, in the red jacket is Matt Oehrlein and behind him is Gui Cavalcanti. Two Megabots along with crew.